2. Remove from the vacuum package and rest on a plate at room temperature for 1 – 2 hours before cooking. It is important that the steak is not cooked straight out of the fridge otherwise it may be tough. 3. Season well with flaky sea salt and freshly ground black pepper. Don’t be shy with the salt! TIP. 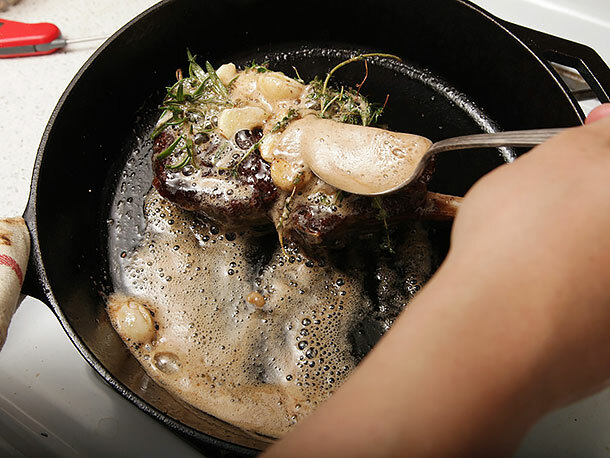 By using flaky salt you will get a nice crust on the setak when you sear it. 4. Add vegetable oil to a thick bottomed frying pan and heat until smoking. Make sure you have good ventilation or your kitchen will fill up with smoke. 7. 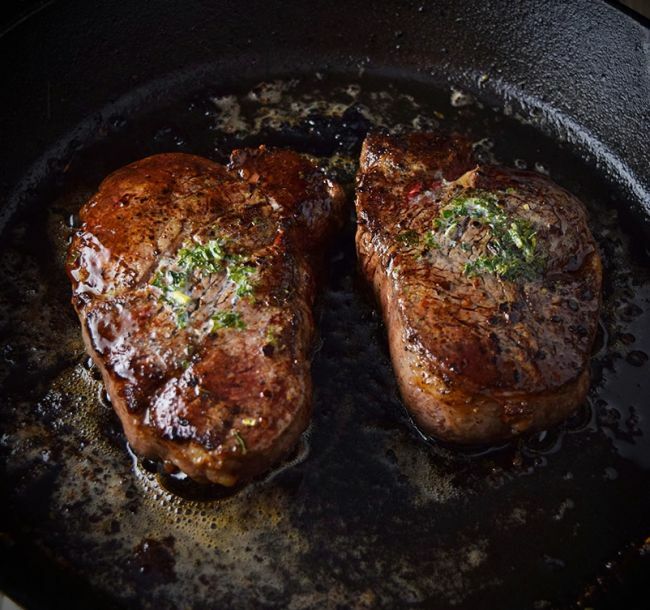 Add 2 good sized knobs of butter, 3 sprigs of fresh thyme and 3 cloves of garlic to the pan and fry alongside the steaks. The butter will take on the flavours of the herbs and garlic and flavour the meat. 9. Rest the steaks on a rack for 5 minutes. Resting allows the meat to relax and stops blood from oozing out onto the plate later. TIP! 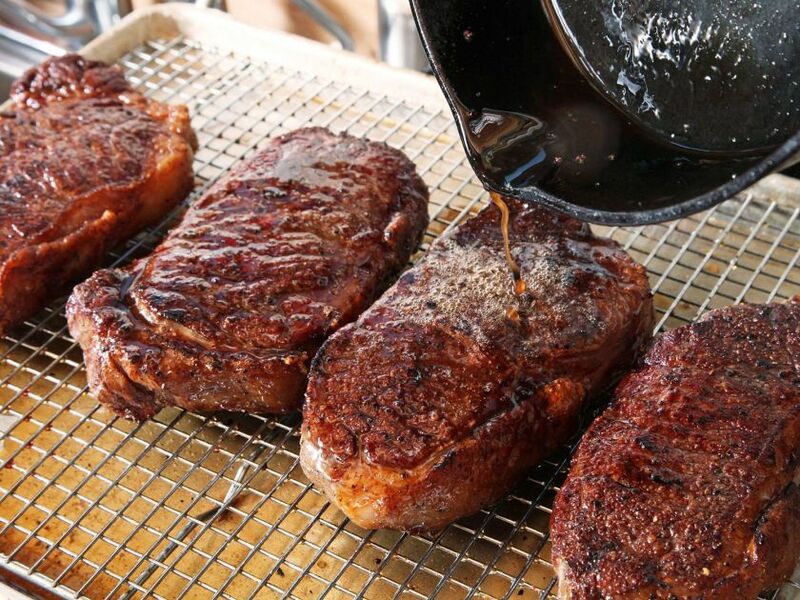 Use a cooling rack to rest the steaks on with a tray underneath. 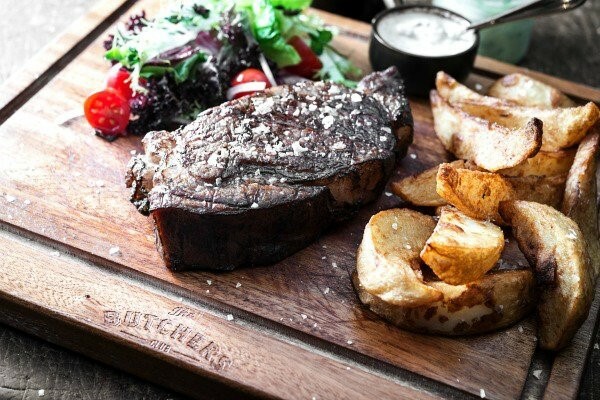 The air circulation aids the resting process and stops the steaks from steaming on a flat surface such as a plate. 10. Baste with the remaining butter and juices one last time. Purchase your 2x200 gram Black Angus Tenderloins from the Butchers Club ONLINE STORE. 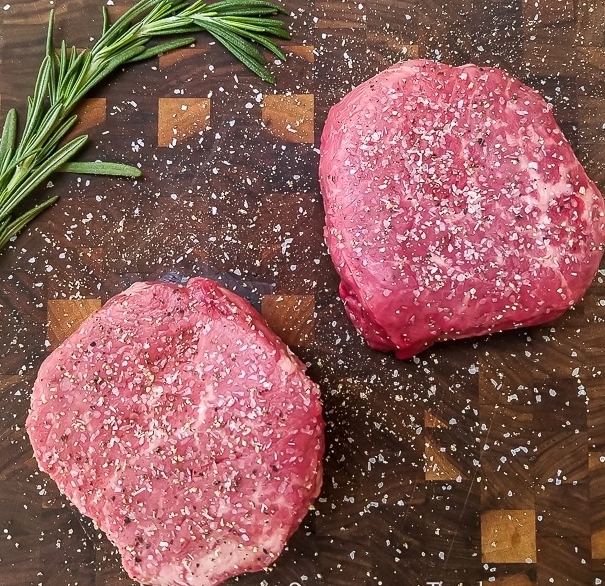 Our Tenderloin steaks are marble score 3-4 and are from the Argyle Signature Collection. 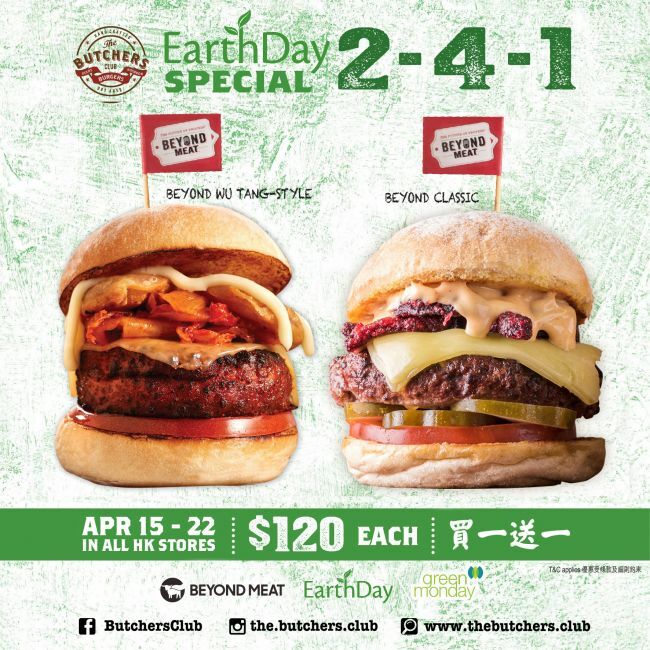 The Butchers Club Burger embraces Earth Day this year by offering two-for-one Beyond Meat vegan burgers at all Hong Kong locations, starting April 15th until Earth Day on April 22nd. 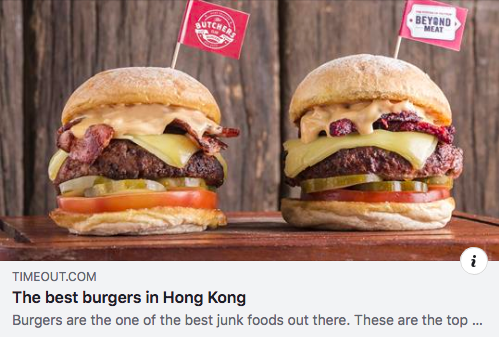 Thank you for the recognition !